Thinking about buying a laminator? In this article, we present you the best laminators and a buying guide to help you choose the one for your needs. Suitable for use with photos. Support for both hot & cold lamination. Support for hot lamination for 3-mil or 5-mil and a cold setting for self-adhesive pouches. 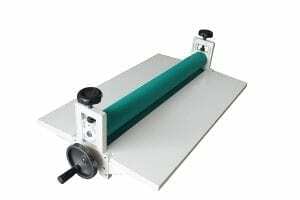 4-roller system with a high laminating speed of 33-inches per minute. Laminating machines can come in handy for a wide range of applications both in the office, at school and at home. For instance, the best laminators enable teachers to create a wide range of resources for students that can be re-used over a long period of time. It also enables businesses to quickly create important documents such as ID cards, office signage, and presentations. Hence purchasing a laminator will help you save time and maintain a professional image. You should consider the time it takes for your laminator to heat up because it will dictate how fast you can accomplish tasks. The best laminators take less than 20 seconds to heat up while the worst of them may take up to 15 minutes. Do you still spend time going to a specialty shop and paying for your documents to get laminated? If the answer is yes, you have a chance of making up for some lost time. Not to mention improving the quality of your work by buying one of the best laminators available today. Just like computers and printers, laminators have made some headway in their evolution. There are some great ones that can easily fit in your home, school, or office without leaving a dent in your wallet. Lamination is a quick and easy method of ensuring printed documents are kept safe from general wear and tear. The print is protected by bonding clear plastic film to either one or both sides of the print. Lamination is a permanent solution which uses heat or pressure (or both). This process makes them impermeable to liquids. Lamination protects prints from getting smudged, creased, sun-damaged, abraded, wrinkled, stained by grease, environmental damage, and other disasters that can wreak havoc on your documents. Lamination also improves print appearance by adding contrast and providing a higher quality finish to documents such as business cards, brochures, leaflets, and so forth. We always strive to provide the most useful and objective reviews. To achieve this, we have a policy to NEVER accept products directly from manufacturers. Rather, we research every model of the appliances we evaluate on our own. To come up with the rankings for the best laminators available in 2017, we tested the products based on various factors including: pricing, portability, versatility (influenced by pouch thickness and entry width), laminating speed, ease of use, and safety features. Additionally, we listened to firsthand input from real-life users of the products and experts in the laminating industry. As you saw in the chart above, we loved the Apache AL9, but as far as which is the best laminator for you, it all depends on the amount and type of work you want to do with it. This is because different people have different needs that can be met through different appliances. After you know exactly what you want, picking it from a crowd will be a piece of cake. Selecting a laminator for your home, office, or school depends on specific factors that you’ll need to keep in mind while browsing through the various available brands. This will ensure you’re aware of the most important qualities and end up with a great machine that doesn’t cost a fortune, yet fits all your needs. Just like it was just made for you. We’ve compiled some of these factors below, take a quick look. The first thing to consider is how often you’re going to use the machine. If it’s for a school or business, most likely, the usage will be moderate to high. Therefore, the smart thing is to go with a laminator that can handle heavy laminating needs such as a four or six roller thermal laminator. If the laminator is for occasional use, the best option is to go with a more economical pouch laminator. Laminators come in a different range of entry widths that typically range from photo laminators with 4-inch widths to extra-wide format laminators that span 27-inches. The larger the width, the more versatile your machine will be. 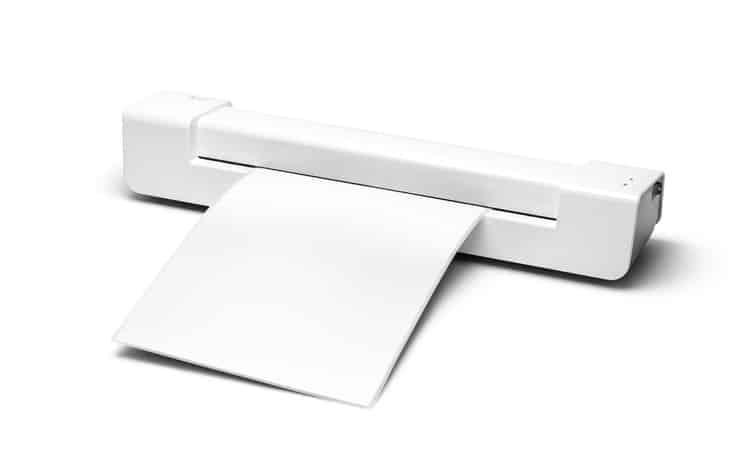 Most document laminators have an entry width of 9-inches. If your work entails laminating small or medium-sized documents such as ID tags, recipe cards, or letter-sized laminates, then one with a 9-inch entry width and above is enough. Laminating machines are designed to keep documents safe from damage. Documents that are handled more frequently require thicker laminates to get the job done over a reasonable amount of time. Different laminators use laminating rolls or pouches of different thicknesses. These are measured in mils. The higher the mils, the thicker and more rigid the laminates. 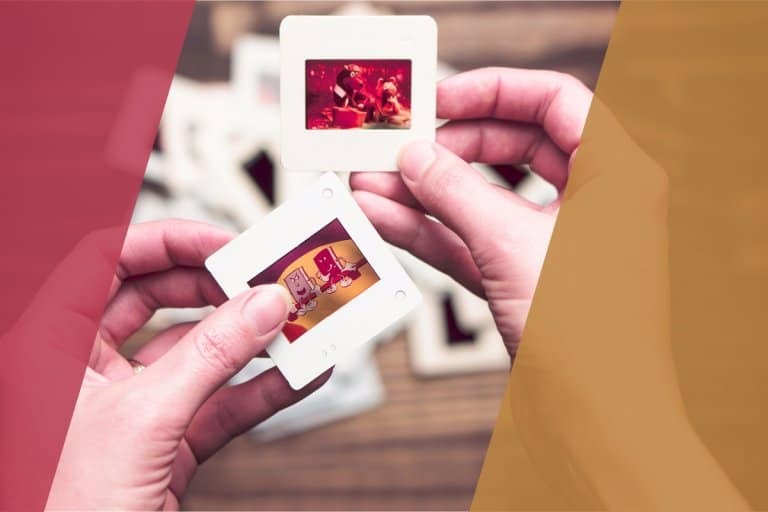 In a nutshell, the standard size is 3mil which is best for the occasional handling of photos, menus, or other documents where pouch flexibility is not an issue. Laminators come in two main categories: thermal and cold. Thermal (or hot) laminators work by heating the printed material and the laminate film to create a bond. Something I wanted to make note of is that laminate rolls or pouches are too thin. This causes the laminate to lose its crystal-clarity and can even damage your machine. With that in mind, be sure to use at least 3mil pouch laminators. And, preferably, one with adjustable temperature settings. 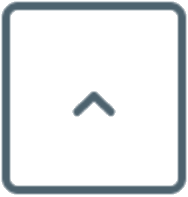 Most machines have an automatic shut-off button in case of over-heating. To avoid jamming, ensure to always keep your thermal laminator clean to remove the glue that gums up the rollers. Cold laminators are best used when dealing with heat-sensitive documents. You’ll need to get self-adhesive laminator rolls which can also be applied without a machine. But for quality results, it’s best to use a laminator. Using a laminator machine will remove air bubbles and give the product a polished finish. It’s also more convenient to use a machine for large documents such as maps and banners. With cold lamination, you can also make a temporary laminate using repositionable sheets. These can be easily peeled off without ruining the underlying material. 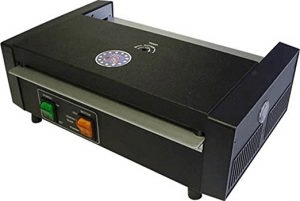 Some laminators come with additional features such as a jam release button, easy access for maintenance, and heat guard technology. Heat guard technology provides insulation to make the machine remain cool outside as well as reduce the time it takes the machine to warm up and get ready for lamination. This is crucial especially if your machine will be placed in a public area such as a classroom. You should consider the time it takes for your laminator to heat up because it will dictate how fast you can accomplish tasks. The best laminators take less than 20 seconds to heat up while the worst of them may take up to 15 minutes. Now that you’re pretty much an expert on what to look out for, it’s time to take a closer look at some of the best brands and models out there. Look through the pros, cons, and features to discover what the best laminator for you is. 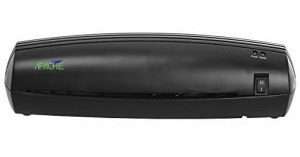 The Apache AL9 comes in an all-black, sleek, compact, and lightweight design. It only weighs 2-pounds and stands at 14.2-inches tall by 6.3-inches wide, and an overall depth of only 1.5-inches (front to back). The Apache AL9 can handle laminating pouches from the size of a business card to the standard A4 size, making it a rather versatile machine. Additionally, this laminator is fitted with a 4-roller system that can perform both cold and hot laminating. It also boasts an ABS jam release button for ease of use. Another feature we really loved is the conspicuous power and ready LED indicators that make it easy to know the status in which your machine is in. The Apache is really light making it easy to carry around to class or the office, yet it feels sturdy when working. We really liked its small footprint—meaning it will use a minimal amount of your work area. In fact, you can easily stow away when it’s not being used as it can even fit in a desk drawer. The description says it takes up to two and a half minutes to get ready for lamination, in reality though, it takes almost a minute less. Apache also errored on the side of caution when they stated it takes a minute to laminate. When in fact, we found it does so in about 45 seconds. Furthermore, the laminator sheets that come with this unit are of a high-quality and they will surely improve the aesthetics of your print. One thing we did find off-putting was its lack of a user guide. Without proper instruction, you may at first, have some trouble feeding the laminating pouches perfectly straight into the machine. Some users reported this issue to cause crinkles and bubbles. Thankfully, the package comes with 20 free pages you can use to get acquainted with the machine. The Apache is not meant for heavy use and that makes sense, considering its relatively low price. However, for an occasional laminating job on materials such as luggage tags, business cards, or anything up to an A4 sized paper, it does wonders. Thicker laminates such as luggage tags may have to pass through the machine twice although, in most cases, we found one pass still works just fine. In case the laminating sheets get stuck inside when using a letter-sized pouch, be sure to press the ABS jam release button since there have been cases where such a scenario ruins the machine completely. In case of any other issues, the customer service has some great reviews for being responsive and caring. 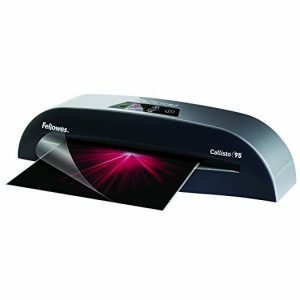 The Fellowes Callisto 95 Laminator measures 5.8-inches x 4.2-inches x 17.8-inches and weighs approximately 5.25 pounds. We liked the color options that it comes in as well. You can get it in either a silver or black design. It features easy-to-use controls and a robust roller system that delivers quick and consistent lamination qualities even at high speeds. It’s designed to handle small to moderate usage and can perform both hot and cold laminating. The Callisto 95 is also fitted with LED and audio indicator lights for ease of use. The Fellowes Castillo 95 comes with 10 samples of 3mil plastic lamination pouches measuring 8.5” wide. The company also offers additional size lamination pouches if you appreciate the quality. With the Castillo, users can change between 3, 5, and 7mil thickness lamination pouches. The instructions accompanying the machine are easy to follow. Similar to some of the other best laminators we reviewed, this machine allows you to use either hot or cold lamination. Weirdly, the manual does not contain any content on how this works, but you will definitely need some self-adhesive cold lamination sheets which are, unfortunately, not included in the sample pack. An advanced lamination system which allows users to laminate varying mil thickness without having to wait for the machine to heat-up or cool down. Three temperature settings for 3, 5, and 7mils thickness. The unit takes approximately 5 minutes to heat up after which the flashing light turns to a solid green and beeps to let you know it is ready. The laminator really does deliver smooth and sturdy laminates even when using 3mil thick pouches. Not to mention it cools almost immediately once it’s unplugged. Overall, this small laminator can comfortably handle light to medium loads of lamination tasks and is an especially good choice for laminating small documents that undergo intensive handling such as informational material and IDs due to its sturdy outputs. Actually, it’s less of an issue with the machine per se, and more of trouble with the pouches. It’s a bit difficult to align the edge of an A4 sized document to the edge of the pouches since they are exactly the same size. This means that water and other agents could still seep in and damage your A4 sized documents. One workaround would be to trim the edges of your paper to fit more easily. However, if this is a concern to you, check the website for a slightly bigger product that may better suit your needs. If you end up purchasing this laminator, be sure to leave enough space behind the laminator to prevent the laminate from buckling or running into objects. 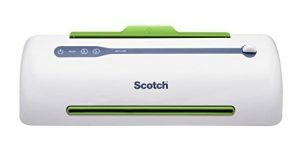 Measuring 6.2-inch x 6.1-inch x 17.inch and weighing only approximately 3.8 pounds, the Scotch Pro Thermal Laminator comes with easy controls that make it easy and quick to produce high-quality outputs. For control, it’s fitted with an LED touch panel that features an indicator light to alert you when the machine is ready. Other interesting attributes include a folding tray for receiving finished products, hidden cord storage, and a carrying handle for maximum portability. This laminator can accommodate documents up to 9-inches wide making it suitable for school, home, and personal office use. The Scotch Pro performs nearly silently thanks to its two smooth rollers and compact design. The hidden cord storage and handle are great additions especially for anyone who needs to carry the machine around. After 5 minutes of warm-up time, the 15-inch per minute laminating speed will prove fast enough for most projects. Though small, the Scotch Pro can run for over three hours straight, making it a great choice. Even if you have a fairly large amount of laminating work to do. That’s one of the major reasons we ranked it so high. Additionally, it comes with two large packets, therefore, you may need to get additional lamination pouches to be on the safe side. It's very small, so you can leave it on your desk counter since it doesn't take up too much space. It's also a very attractive appliance. It's pretty sturdy, too. 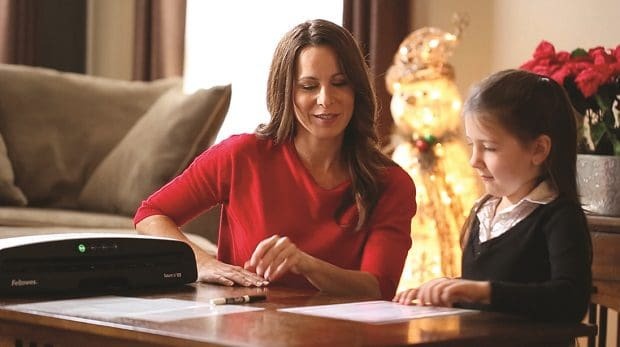 The Fellowes Venus 2 Laminator measures 8.2-inches x 5.1-inches x 21.2-inches and weighs about 21 pounds. This machine is fitted with a robust 6-roller system that produces smooth and high-quality laminations at a rapid speed of 40 inches per minute. That’s an impressive speed and makes the Venus 2 perfect for an office or school that has medium to high loads of laminating jobs. It comes with a sleek design with the controls conveniently placed for easy control. It’s also fitted with LED lights and an audio beep which will alert you when the machine is warmed up, when there’s a jam, overheating, or when the lamination is complete. The Fellowes Venus 2 Laminator is both fast and smart thanks to its AutoSense technology which allows the machine to detect and re-adjust the settings based on the pouch thickness. As a result, it’s easy for anyone to operate this machine successfully. With only 30 seconds of heating time and laminating speeds of up to 40-inches per minute, it’s easily one of the fastest laminating machines out there. An advanced system which allows users to laminate varying mil thickness without having to wait for the machine to heat-up or cool down. The Venus 2 comes with ten 3mil pouches to get you started as well as a roll cleaner page that you should feed through the machine before switching it off. The machine runs smoothly and silently and comes with a small tray attached to the back of the unit for receiving completed laminates. We found this feature useful since it prevents the documents from bending when falling to the countertop. After receiving your shipment, be sure to check if the automatic temperature control setting is well calibrated. If not, the machine may produce poor-quality results due to too little or too much heat. In case of a faint burning odor in the first few uses, do not get worried, this should disappear by the 3rd-4th use. The Scotch TL901C stands at 6.7-inches x 6.4-inches x 16.3-inches and weighs approximately 5.4 pounds. Inside, it’s fitted with a 2-roller laminating system that has two laminating settings that are suitable to use with photos, documents, recipes, and much more. It can laminate items up to 5mil thick. The kit comes with 3mil and 5mil pouches. 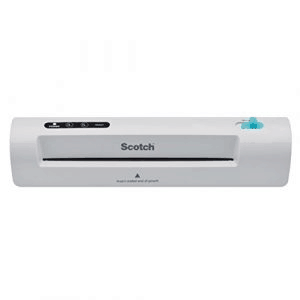 For the price and other supplies this machine comes with, we found the Scotch TL901C to be an outstanding laminator that comes in handy for use at home or in the office. It’s very simple to operate and carry around. Slightly slower than other laminators we reviewed above, this option takes a couple of minutes to heat up when the 3mil setting is on. And even longer on the 5mil setting. 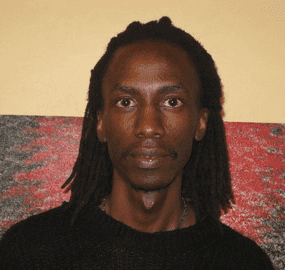 However, when everything is ready, it does the job quickly and effectively. The laminates also come out straight and sturdy. To ensure everything is working correctly, check the rollers and motors that pull the laminate through the machine to ensure they’re moving smoothly. Also, check the heat settings and use some of the provided material to test if the machine is working efficiently. As a side note, do not use this machine in case you intend to laminate sonogram pictures. The heat from the machine will totally destroy your project. Also, remember to switch between the 3mil and 5mil settings to ensure there’s enough heat to make the adhesives stick together and seal well. If everything is working well, the finished piece will come out of the other end while still HOT, so be careful. Lastly, the included assorted pouches come in a wide range, but in few numbers. Since you will never use some of them, be sure to buy more of the ones you think you will need most. 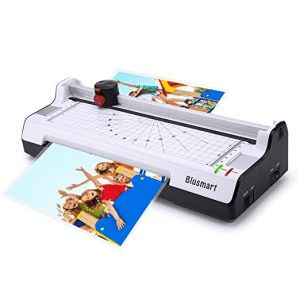 The 3-in-1 Blusmart BL01 Laminator comes in white and stands at 15.3-inches x 3.9-inches x 5.5-inches. This allows the Blusmart to handle laminating pouches from the size of a business card to the standard A4 size. The BL01 is fitted with a 2-roller system that supports both cold and hot laminating. 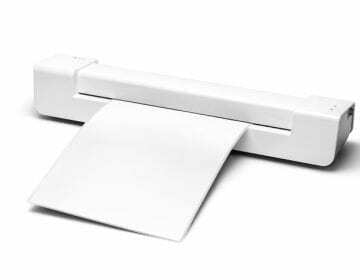 One feature we absolutely fell in love with about this nice 3-in-1 laminator is that it also has a rotary paper trimmer and a corner rounder. Something most other laminators did not offer. The paper wavy and zigzag trimmers also enable clients to add some flair to their products using this machine. This makes it very suitable if you handle customized cards (birthdays, weddings, etc.). Of course, these convenient options also make it ideal for schools and offices. 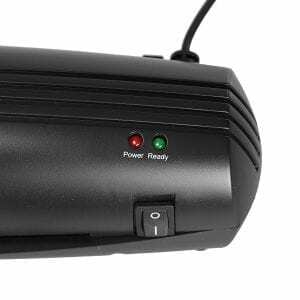 Similar to the other laminators in this review, the Blusmart BL01 has LED indicator lights to show on/off status as well as an LED indicator light. 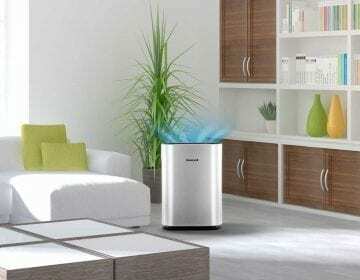 Special design that removes air bubbles and provides a smooth finish. The Blusmart BL01 laminator supports both thermal and cold lamination. When using thermal lamination, the plastic seals perfectly on all sides leaving no bubbles or uneven parts on the surface. Not unlike the other laminators here, just make sure you’re using the self-adhesive pouches when you’re using the cold lamination option. Weighing only 1.98 pounds, this machine is also extremely portable and easy to use. The instructional manual is simple for anyone to grasp with all parts clearly labeled out, so don’t worry if it’s your first time using one. Some consumers have complained about the machine crinkling up papers and jamming after using it a number of times. If this happens, try pushing the anti-jam (ABS) button or cleaning the glue that may be gumming up the rollers. And, in the rare case your machine arrives broken, make sure to return the item within 4 weeks to avoid missing the deadline. All that aside, the Blusmart BL01 is convenient to use since it accommodates all the standard laminating pouches with the maximum size being A4. It powers right up and outputs some great looking products. 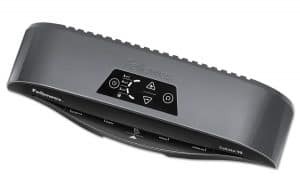 The Fellowes Saturn 3i Laminator measures 5.8-inches x 4.1-inches x 20.9-inches and weighs approximately 5.1 pounds. This machine can perform both hot and cold lamination for up to 5mil thermal pouches imparting a durable and professional look in the process. It’s fitted with a wide range of easy-to-use controls and a smooth roller system that ensures quality results for different projects. It’s designed to handle small to moderate usage and fitted with LED lights and audio beeps for easy notification when things are ready. The Fellowes Saturn 3i is shipped with ten, 3mil A4-sized pouches to get you started. Users can easily switch between working with thermal laminating pouches or cold, self-adhesive pouches with the touch of a button. Our research proved the InstaHeat Technology enables the machine to warm up in under 60 seconds--just as advertised. Plus, the auto shut off system turns off the machine in case it gets too hot after a given duration of use. In case your documents are turning out crinkled, check the back of the machine to ensure the hook on the exit tray is not the cause of the problem. If it is, stretching the prongs apart to create a bit more tension should solve the issue. Overall, the Saturn 3i is awesome for small or moderate laminating jobs. 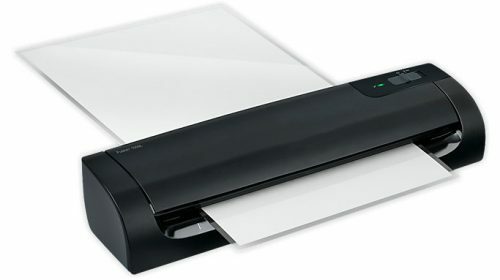 It’s great for laminating any document less than an A4-sized item. However, it’s a bit difficult for laminating small documents such as cards since there’s no solid level surface at the feeder end making it difficult to place cards without them overlapping or falling. To handle this problem, laminate the document first and then trim down any extra sheets as required to avoid jamming. The TLC Pouch Laminator comes in black, measuring 8.8-inches x 4.8-inches x 16.6-inches and weighing approximately 15 pounds. This machine can perform both hot and cold lamination for up to 3, 5, 7, and 10mil thermal pouches held in place with its 4-roller system. It has separate heat and run switches, making it easy to control. Another of the speedier laminators, the TLC has a fixed speed of 33 inches per minute. In fact, the impressive speed of the TLC laminator makes it one of the fastest machines in this price range. It’s installed with a temperature control and light indicators for signaling when the machine is ready for laminating. This model also comes with a thermometer for you to keep tabs on your heat levels. The TLC pouch laminator is a sleek, durable, and high-performance machine that can handle an average project in under 20 seconds once everything is all heated up. 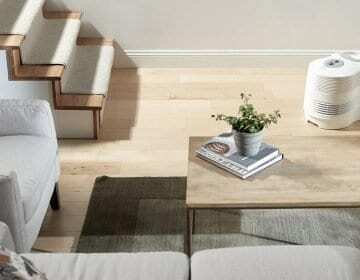 It produces sturdy, straight, and polished laminates while running constantly for hours. As a result, this machine is best set up in an office or school where there is medium to high loads of laminating jobs. If you have a laminating business or are planning to use a laminating machine for huge loads, we recommend this as the best laminator for you. It’s easy to use, fast and efficient, and produces consistent and high-quality results. It can also accommodate a wide range of pouch thicknesses not to mention the wide 12-inch entry width makes it easy to laminate pretty much anything. This laminator is a true workhorse. 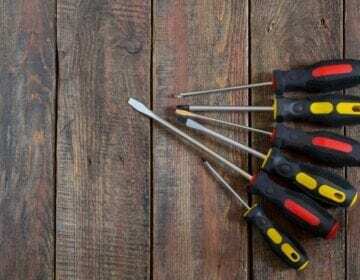 In case the rollers or heating mechanisms are not working correctly, you might get laminates that are wavy (not flat) and they may also contain air pockets. If this problem is not being caused by misfeeding the machine, then think about utilizing the five-year warranty. Unluckily, a lot of customers have raised an issue with the company’s customer service, so hopefully, yours goes well. From the above reviews, it’s clear the best laminators are the ones which produce high-quality results yet are simple in design and easy to use. This is an important factor because what is the point of having a machine you cannot operate or even set up? To get this information, just read some of the reviews from real buyers who have had experience setting up the machine in their own homes. Feeding in the laminates should also be easy and straightforward to prevent jamming which may damage the machine. If you’re planning to work alone, make sure the machine is easily manageable for one person. It’s wise to never attempt laminating an irreplaceable item in your new machine. Laminators are just like any other type of machine, and anything could go wrong. 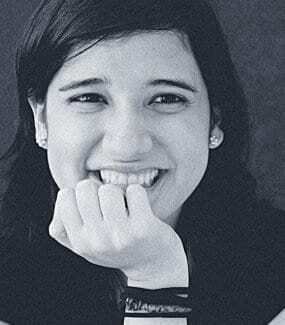 If you are dealing with something you deem irreplaceable, it may turn out pretty badly for you. Still Having A Tough Time Choosing The Best Laminators? With all the options and wide range of prices, it’s tough coming to a final decision. Luckily, we’ve pulled a couple products from the reviews above we think especially stand out in front of the pack. Whether you’re looking for a bargain or a laminator that will last you years, be sure to consider the following two options. 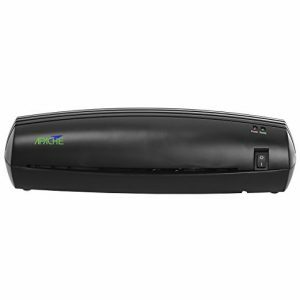 We found the Apache AL9 9" Thermal Laminator and 20 Laminator Pouches to be the cream of the crop. The features that caught our attention were its speed and compact design. The fact the Apache comes with 20 pouches means you get started on your laminating job right away without having to invest additional money purchasing more pouches. All in all, we think this model will suit almost anyone’s needs, barring those who need a high-volume setup. Don’t let its size fool you. The Scotch Pro is small and mighty! It's great for small and large volume projects alike. The fact it can run for over three hours straight, really brought this laminator to our attention. The low price only sealed the deal for us. 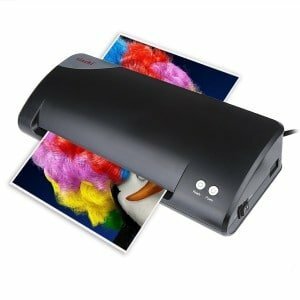 Know of a laminator you think will change the game? Tell us about it in the comment below! Why does the pouch come out wrinkled or curled after every lamination? In case of wrinkles or curls in your pouch, the most probable reason is that your machine is not heating enough. You can invest in a cheap thermometer if your unit does not come with one and also ensure that you have given enough time for the machine to warm up. Check the instructional manual for your machine’s warm-up times at different mil settings. My laminates come out with the pouch looking cloudy and adhesion weakly bonded? The most likely cause of this problem is under-heating. Besides giving the laminator time to heat up, you could also try using a pouch with fewer mils to see if it works better. If it does, then the pouch you are using may be too thick for your machine. What do I do when the film gets wrapped around the rollers and jam the appliance? 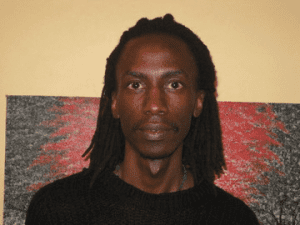 This problem mainly occurs when you do not use a carrier when feeding items into the machine or when laminating small items such as ID cards. If you can still see the pouch from the front, try pulling it very gently. If the pouch is not visible, it is best to contact the manufacturer. Why does the pouch form lines and get wrinkled? If it is not a temperature problem causing wrinkles, then it must be that the film is not straight when entering the machine. Use a guide/rule to ensure the pouch is fed perfectly into the laminator to avoid this. Can the machines laminate 1.5mil pouches? The range of laminators in this review are not recommended for use with 1.5mil pouches. This is because the pass-through speed would need to be faster than the fastest speed on most of the appliances above. The laminates will stick all over the rollers and create a mess. My pouch is not bonding correctly, what do I do? This is another issue caused by under-heating or using a carrier sheet in a machine that does not need one. Refer to your instructional manual in case you are using a carrier sheet if not, check your temperature setting and ensure that your machine is heating up correctly.